After over a decade in the automotive and defense industry, ADEG founder, Keith Rogers PE, wanted to do something different. 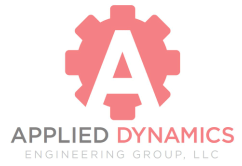 He left BAE Systems in the Houston, TX area, moved back home to Fayetteville, AR, and founded Applied Dynamics Engineering Group (ADEG) in 2011. Leveraging connections across several industries, ADEG has built a close network of experts to tackle projects of any size. Keeping overhead costs to a minimum, ADEG is able to provide clients with unrivaled cost savings, while matching or surpassing the results of larger more cumbersome firms. ​Alex Roberts is a licensed Professional Engineer in the States of Arkansas and Oklahoma. Alex has over 16 years of experience as an engineering consultant in the field of mechanical engineering. His emphasis in the areas of automotive and ATV/UTV design and analysis compliments ADEG's skill set, and Alex joined our team in 2016 as the Director of ADEG's Testing Divsion. Throughout his career he has developed a skill-set related to automotive and ATV/UTV design, testing, test standards development, data acquisition, and data analysis. He has consulted with U.S. and foreign governments on standards development, has designed ATV and UTV suspensions for vehicles that are currently in production, has performed research and development relating to numerous automotive and recreational vehicles and components, and has published 19 scientific papers regarding his research and analysis in these areas. ADEG is a consortium of talented US based registered professional engineers and technicians who bring a wealth of knowledge and experience to solve difficult engineering problems. ADEG engineers are experts in their fields and also have a breadth of knowledge in various other industries. There are occasions when a client may have needs in addition to ADEG's core competencies. When this occurs, ADEG assembles the correct team to tackle the project, acting as project supervisors and organizing all engineering talent making communication with our clients more concise and less cumbersome. Any sub-contracted engineering stays within the United States.